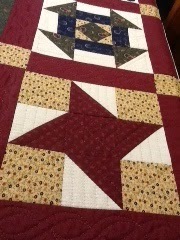 My works in progress consist of: Rose's quilt is finished, all hand quilted and ready to go! 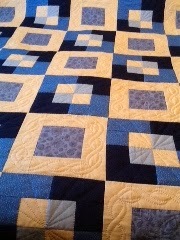 Another angle, and the border isn't that dark..just the lighting, border is the same as the blue center squares. This is the same sampler as this one you saw a few weeks ago...but larger, 20 blocks instead of 12. 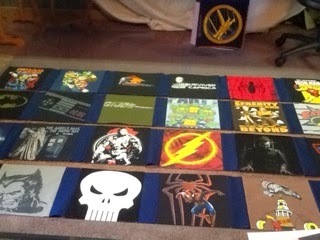 I have done some more work on the t shirt quilt too...have all 7 rows put together. Here are a few of them. 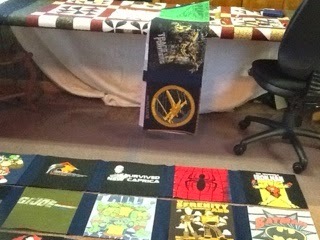 These are the 4 bottom rows of the quilt...the other 3 are hanging from the other quilt ...here. 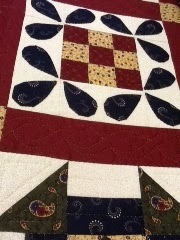 Next, I'll put the sashing strips between the rows, then add the border and ready to quilt. 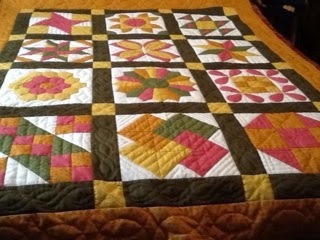 I have to do my next FMQ Challenge sometime this week, will be planning my Bargello Dahlia this week too. 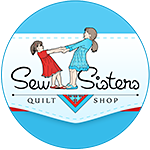 I have 4 customer quilts to hand quilt when I finish the one at the top of this post. I also have 3 of my own to quilt, probably on Tiara though...but you never know. 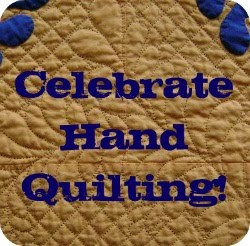 They could get hand quilted!!!! I also got my sun porch all cleaned up and have my quilts displayed again for tourist season. This is how I use my sun porch...great area to hang quilts!!!! So, that is it for me this week...don't think I forgot anything. Have a great week folks!!! 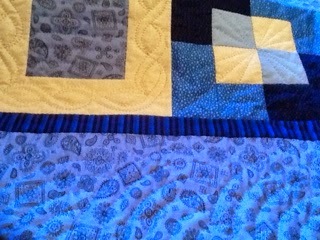 Your quilting looks so pretty. 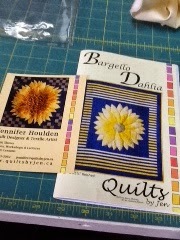 I can't wait to see that Bargello Dahlia. 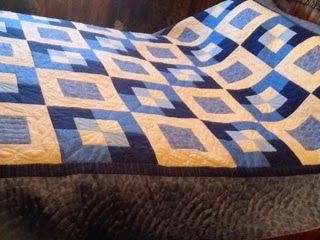 I really like Rose's quilt - blue and white is always a classic combo and your quilting is lovely, and hand quilted! Impressive effort!